Whenever you buy a new house, you tend to choose the best décors for your house. Even in renovating your house, basic decisions need to be made like the paint, wall decors and of course, the flooring. Getting the best type of flooring is essential for your house. Floors like porcelain tiles, luxury vinyl, and plastic laminates have gained popularity in recent times. There are other types of flooring like hardwood flooring which has been around for quite some time and, amazingly, are still preferred. With all of the choices to choose from, you cannot select a flooring just because it looks the right color but there is a number of other factors to be considered that can weigh in on the performance and durability. There are basically two types of wood flooring. Solid hardwood flooring is the type of flooring that involves the planks of a type of wood such as oak, maple, birch or mahogany, fitted together through tongue and groove joints. Solid hardwood is very popular and will be available easily. They can be sanded and refurbished several times. Engineered flooring is a type that some of the companies offer. The main reason for engineered flooring is to avoid the damage done by the expansion and contraction cycles of the floor due to the weather. These involve in a thin hardwood plank bonded with 5-7 equally thin layers of the wood during manufacturing. These are cheaper than solid hardwood flooring and are stable. Now that you have decided your hardwood flooring, you can move on to the color of the flooring. You can choose what color will go with your room’s aesthetic. Choose accordingly and make sure to get the appropriate wood type. A personal recommendation will be timber wood flooring because it gives a natural wooden look and provides versatility in any room. If you aren’t going with the timber, then choose your color wisely for example; don’t choose light-colored flooring on the entrance or living room as the dirt is visible easily. 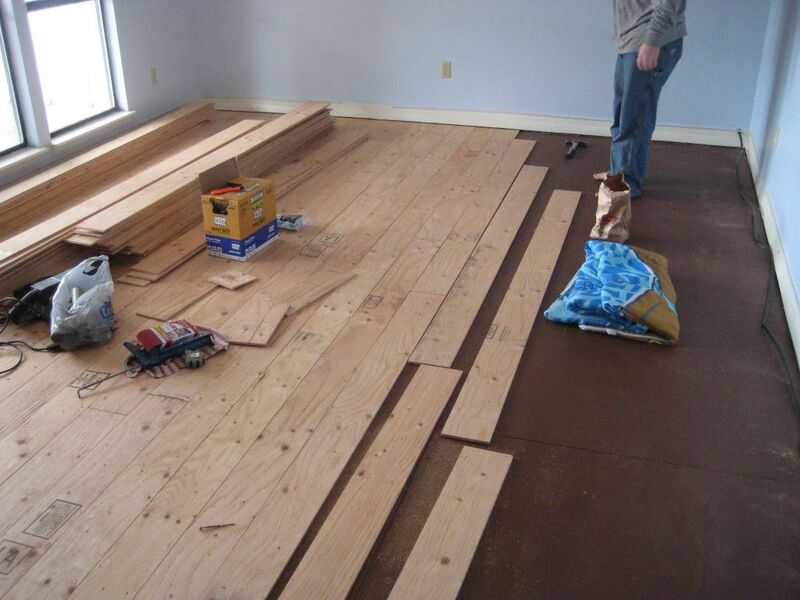 Subflooring is important for any type of wood flooring to set its base on. In other words, there should be a mini-floor under the floor to set its base on. There are many types of subflooring that are eligible to support wooden flooring like plywood subfloors, concrete (but make sure the concrete is sturdy and at least 30 days old), tiles or vinyl. Durability is another main concern. A good flooring can have a lifetime up to a decade sometimes more. The most durable types of hardwood is oak, maple and cherry. They will be perfect for long term purposes, but a drawback is that they are expensive. A less expensive option is the pine. Pine is lighter and softer wood. It may scratch and dent a bit too quick, but the advantage will be that they can be repaired and painted multiple times in its lifetime without damaging the floor itself.